Well, the beauty bargain hunter has struck again! 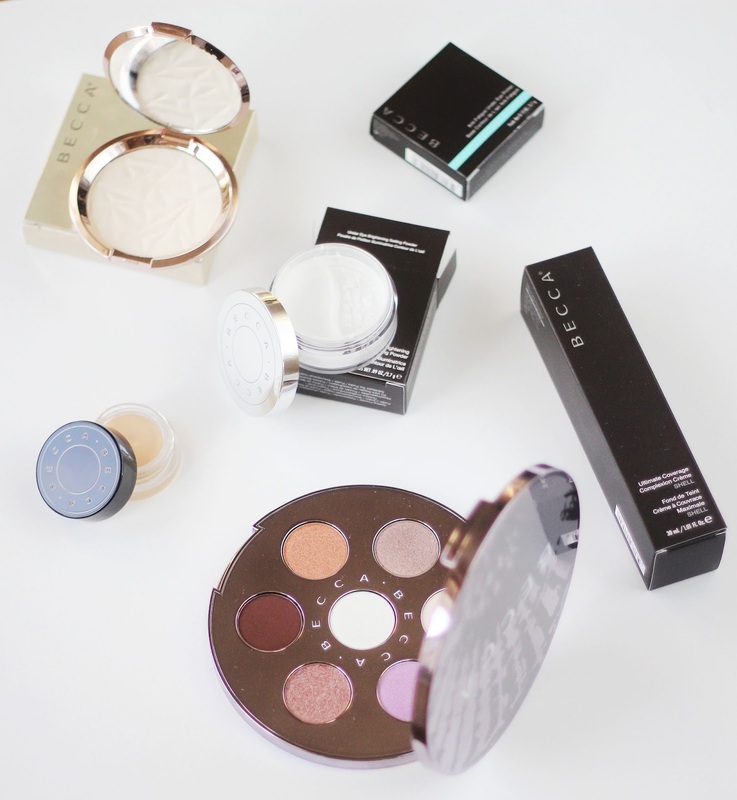 I managed to save some £££ on this Becca haul, by shopping Space NK with £15 off a £60 spend, and then landing an incredibly good value set on QVC. 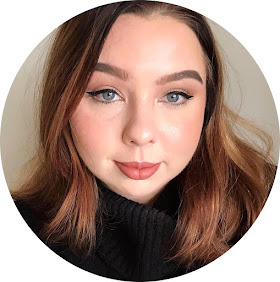 I managed to bag Becca's Ultimate Coverage Foundation (£34) and their Ultimate Coverage Concealing Creme (£24) for, including shipping, a total of £40. So I basically got the concealer for £6. I know a bargain when I see one! Shop the QVC deal here. I've used this a couple of times so far. I was confused by it at first - I was expecting it to be a colour correcting kind of deal, but this is totally transparent on the skin. It's very cooling and smoothing. On a regular day, I don't notice that much of a difference. It certainly smooths out some of the natural crinkles, but not to the point I'd say it's £24 well spent. However, when I used it after getting about 3 hours sleep, I really saw the difference. It reduced the puffiness of my under eyes and softened and lightened the bags. That being said, under eye bags aren't really a massive issue to me, so this isn't a must have in my make up routine. 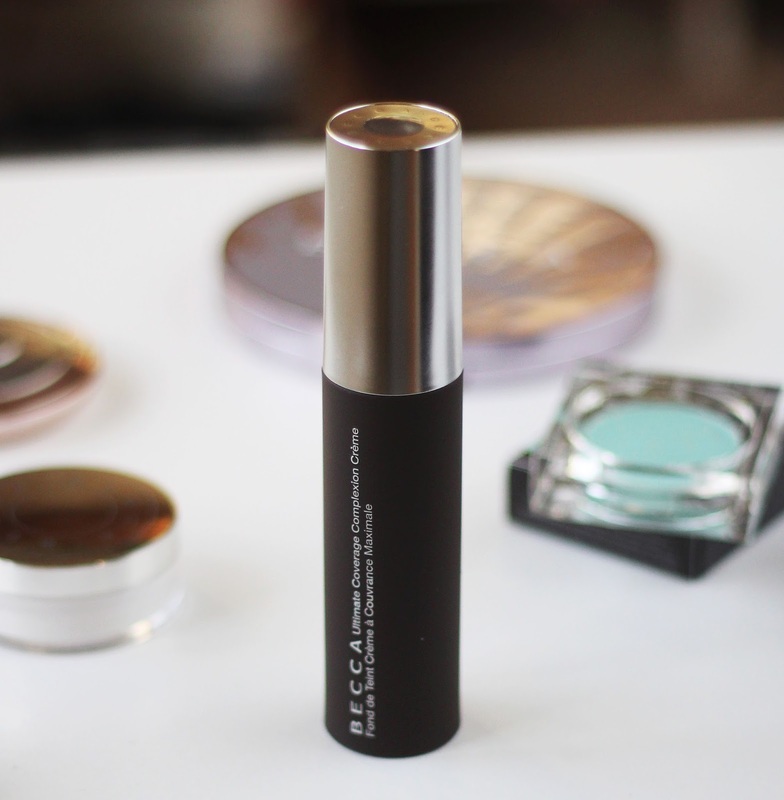 Perhaps if dark circles are something you really struggle with, you'll be more impressed with this! I was hesitant at first because this certainly isn't an everyday palette, containing two mattes and five bright, bold shimmers. What swung me was the gorgeous lilac packaging! 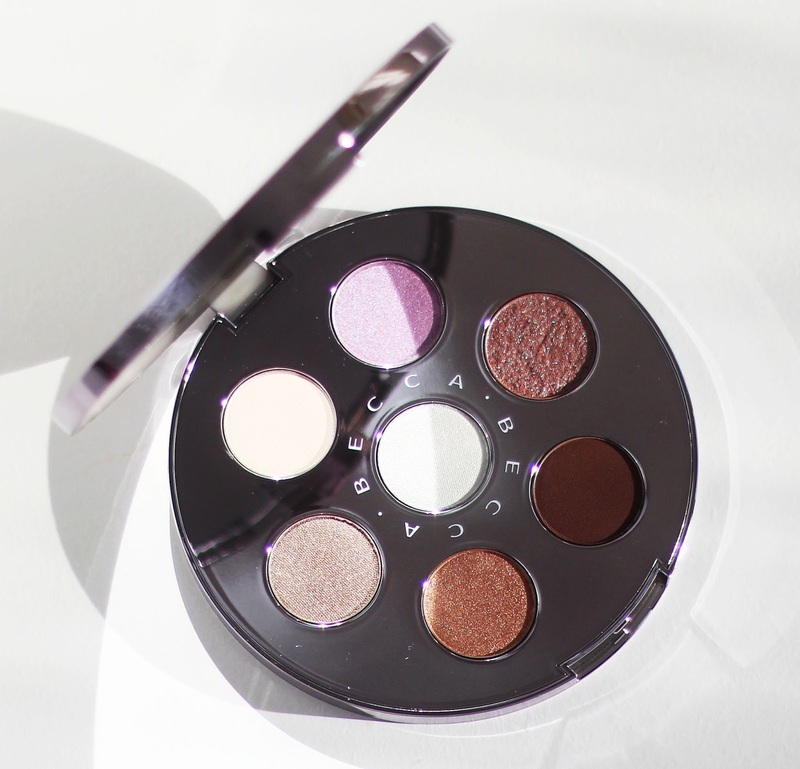 First impressions of the actual shadows are that they're really pigmented, but don't kick up too much powder. The shimmer shades especially are bright and punchy but aren't too scary as far as brighter shades go when everyday make up wear is concerned. The purple shade Abalone on the lid paired with a cool tone brown in the crease is a perfect brighter but wearable look. So overall I'm really glad I got this, and I'm especially impressed at how soft and creamy the powders are. I'm not short of pale champagne-y toned highlighters, so I didn't really need this. But I also really needed it. I'm a make up junkie, okay?! I'm thrilled with this highlight, it's so beautiful. It's buttery soft as per Becca highlight shades. It's a pale vanilla shade but when it hits the light it almost has a hint of a pinky purple reflect - which makes it a little different. I think it's beautiful! Ok, honestly? My absolute first impression of this was bad. I thought it made my under eye area look grey, more than anything. And it did, for about 30 seconds - and then it does brighten. It's crazy. It's like some kind of voodoo! So I do actually really enjoy this and it's super, super effective. It really lifts the whole under eye area and is great for sculpting the face when paired with some good ol' contour. I find the way to get the best out of this powder though is to use it sparingly. A little really goes a long way. I also find that, whilst it is supposed to be a setting powder on its own (which I agree, it does stop concealer etc moving around), the brightening works best when it's layered over a translucent, sheer or flesh tone powder. I found it's not good for baking with, because you end up over brightening; although I think that speaks more so on how effective it is at what it claims to do! Lately, I've been switching between this and the new Nars foundation I reviewed here. They're both brilliant, but I prefer this one purely in terms of coverage. This one - as the name "ultimate coverage" suggests - really does the job, coverage wise. But for my skin which is on the drier side, it is a little bit too matte. If I don't prime with a hydrating primer (my favourites are the Nivea Express Hydration Primer and the Too Faced Hangover RX, FYI!) then I do definitely notice it grabbing to dry patches and looking a little cake-y. My skin is combination to dry and not completely dehydrated or flaky, so if your skin is really on the dry side I'd suggest to perhaps give this one a miss. I find the finish of this really nice. Like I said, it's matte but the finish looks really even and just flawless, like porcelain. It wears well all day once it's on, I find except from under my eyes, I don't need to set it with powder and it'll still stay put for a good 7/8 hours. I really do love a good full coverage foundation. My skin is prone to hormonal breakouts so I like a foundation that covers up any redness and blemishes quickly, where I don't have to spend ages on my base. This one is a great pick for that time of the month - one 'coat' and my skin looks flawless and even. 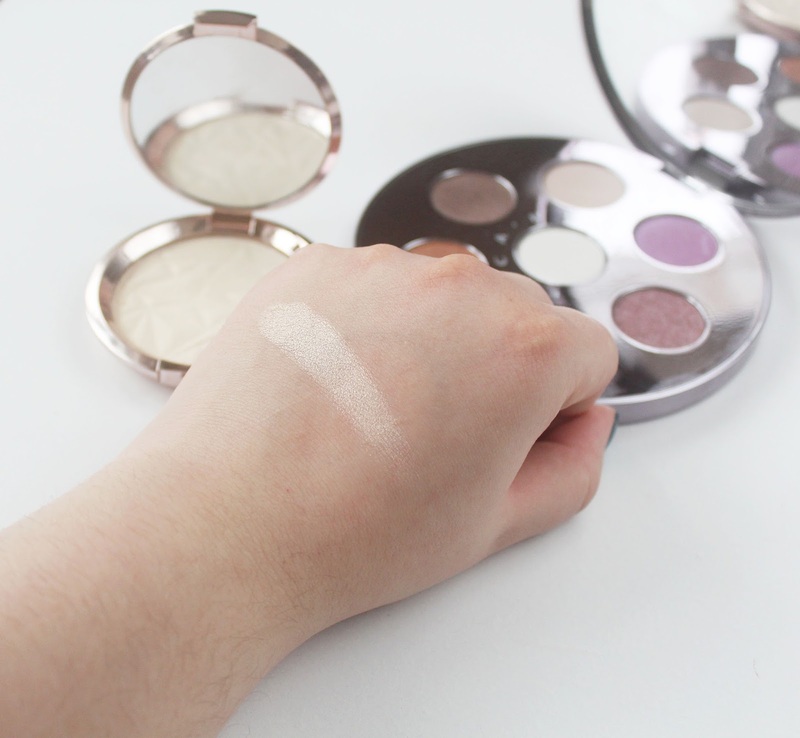 I also have to say that the colour range was excellent, there was lots of undertones and the colour 'Shell' is an exact match for my neutral but with a hint of yellow undertone complexion. This is a fab concealer for target concealing because it matches my skin tone exactly. Becca got it right again in terms of matching my awkward not quite neutral but not quite yellow undertone. This is very full coverage but isn't cakey and is actually a very soft, creamy consistency. It's so easy to blend. I can't help but compare this to a Nars product also, the Soft Matte concealer. 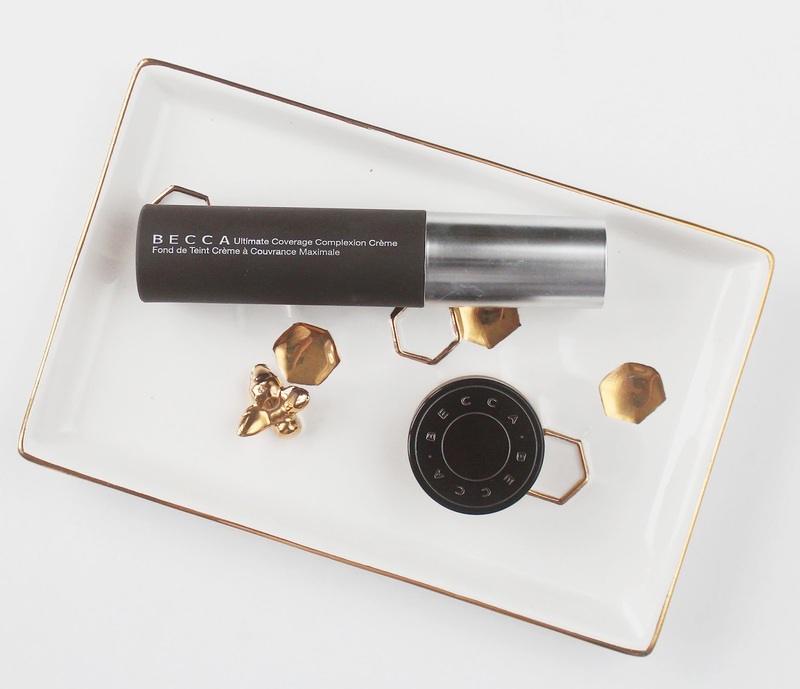 I actually prefer this Becca option, it's a lot less oily and is a little stiffer, which I find easier to pat into the skin and find it stays put longer. I've been loving this guy! 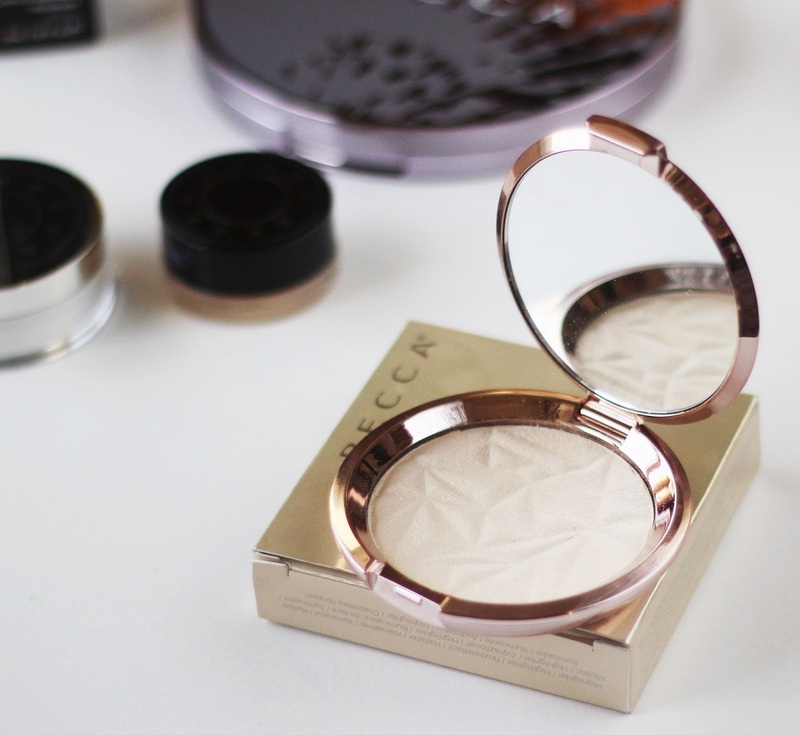 What are your favourite Becca products? The highlighter is in my wishlist! Great pics. The eyeshadow palette looks amazing !!! Your pics are so beautiful!!! Becca just arrived here, can’t wait to try it! 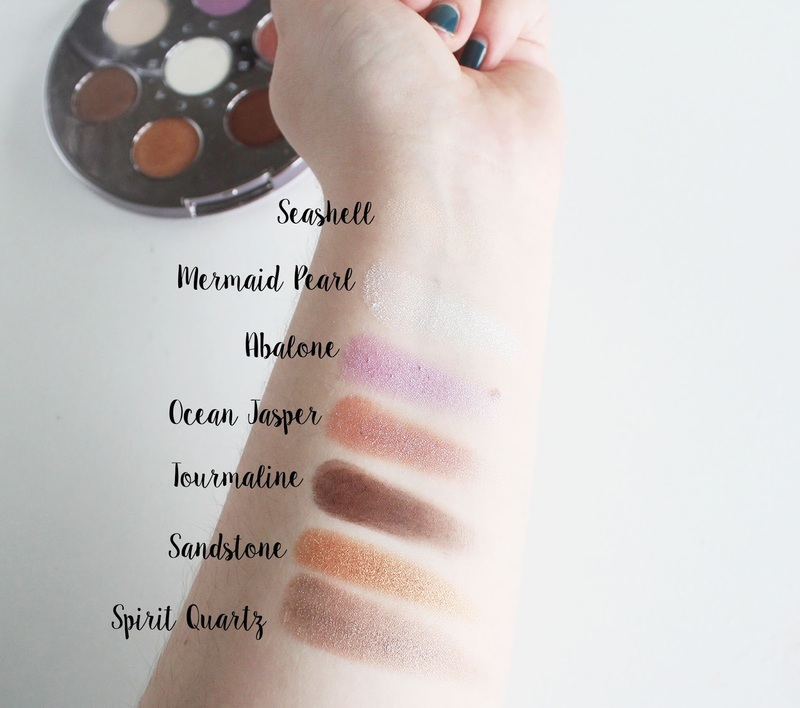 I love the Ocean Jewel's Eye Palette, and would love to try the Ultimate Coverage Concealing Creme. 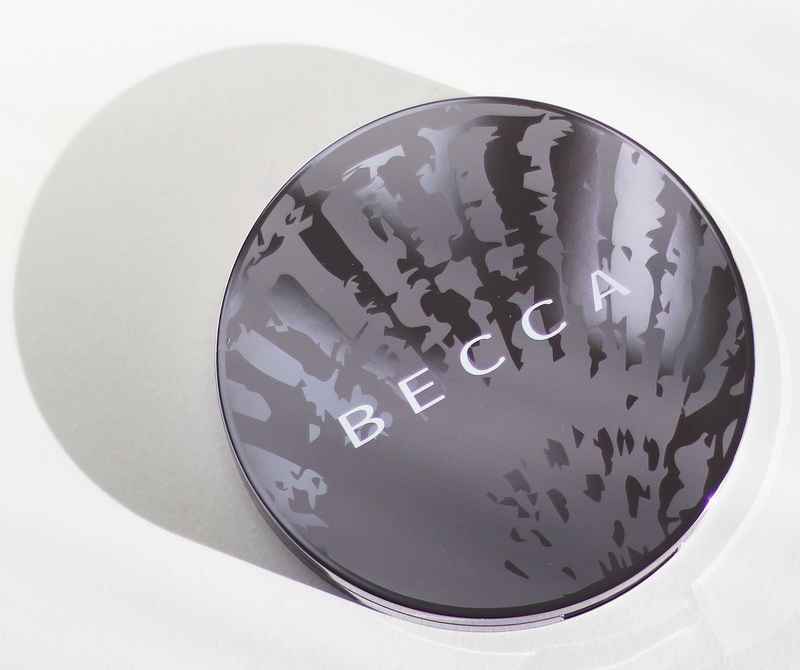 I love Becca and I really want to try the ultimate cover foundation! I might go out and give it a go after reading your review! 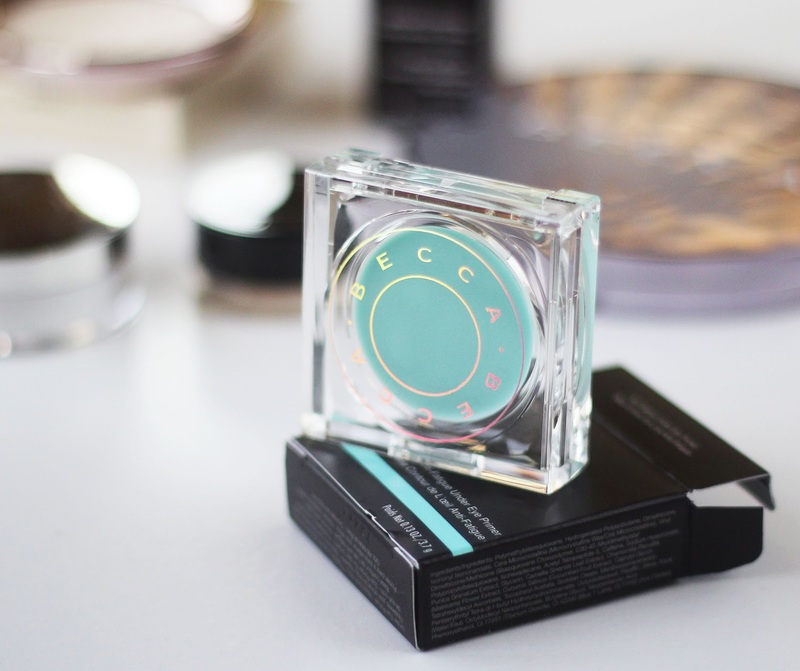 The brightening powder has been on my list for a while! I've not heard of Becca before. 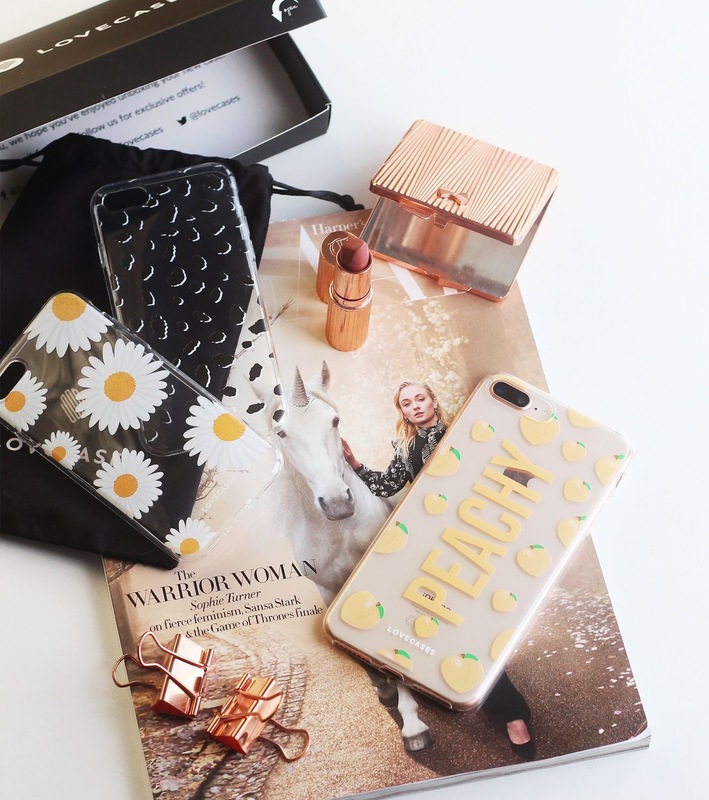 I love the packaging and the products sound fab. 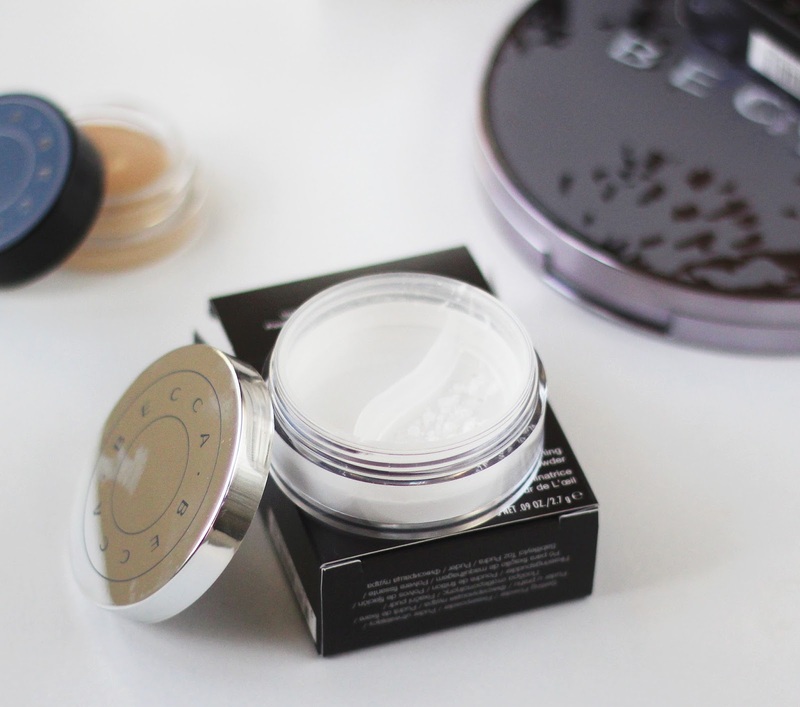 I've only tried the face primer from Becca but I'm loving how good the foundation seems! I need to try that undereye primer.It sounds like it would be good for my older skin and puffy eyes. That palette is just gorgeous. The brightening powder is gorgeous!!! 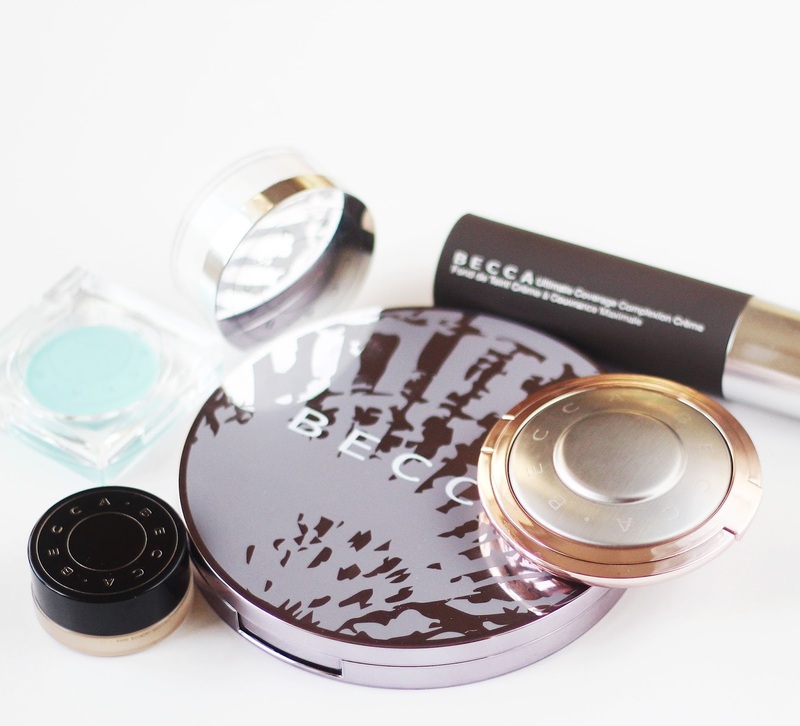 I'd not heard of Becca products before but they all sound lovely, especially the shimmering skin perfector. How absolutely stunning do these products look. I would love to try the under eye primer! I really need that under eye pigment in my life!